Place a ClemenGold segment at the bottom of each paper case. Whisk the buttermilk, egg, oil, vanilla extract and zest; add to the flour mixture and stir with a metal spoon until just combined. Fill the paper cases with the batter – an ice cream scoop works really well. 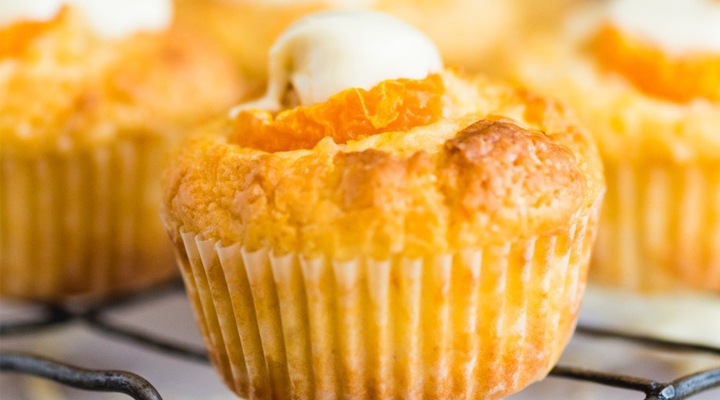 Top each muffin with a ClemenGold segment. Bake in an oven preheated to 190C for 25 minutes, until a skewer inserted into the centres comes out clean. Allow the muffins to cool and drizzle with the melted white chocolate before serving.